DuPont Tyvek Pedestal Barbecue Cover White - 19.5 D x 28 W x 19 H in. KoverRoos 23051 DuPont Tyvek Pedestal Barbecue Cover White - 19.5 D x 28 W x 19 H in. 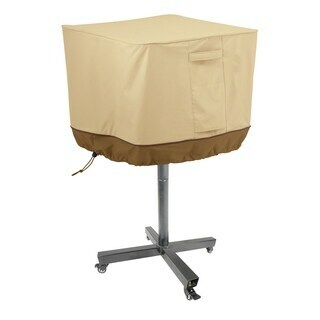 KoverRoos 33051 KoverRoos III Pedestal Barbecue Cover Taupe - 19.5 D x 28 W x 19 H in. KoverRoos 53051 SupraRoos Pedestal Barbecue Cover White - 19.5 D x 28 W x 19 H in. SupraRoos Pedestal Barbecue Cover White - 19.5 D x 28 W x 19 H in. KoverRoos 13051 Weathermax Pedestal Barbecue Cover White - 19.5 D x 28 W x 19 H in. KoverRoos 43051 Weathermax Pedestal Barbecue Cover Toast - 19.5 D x 28 W x 19 H in. KoverRoos 63051 Weathermax Pedestal Barbecue Cover Forest Green - 19.5 D x 28 W x 19 H in. 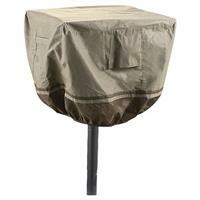 KoverRoos 93051 Weathermax Pedestal Barbecue Cover Chocolate - 19.5 D x 28 W x 19 H in. KoverRoos 73051 Weathermax Pedestal Barbecue Cover Black - 19.5 D x 28 W x 19 H in.